Our RSVP deadline was last Friday and though we had received the majority back through the mail, we still had a few invited guests to reach out to in order to confirm their attendance. As one who dislikes any sort of confrontation, wording my messages correctly was important as I didn’t want guests to feel attacked. I considered how best to phrase my inquiries so no one took my affront as saying, “You didn’t send back your RSVP, are you coming or not?” I know better than most how busy life can get and can only imagine replying to a wedding invitation takes second/third/fiftieth priority following Spring ball games, cleaning schedules, school graduations, weekend vacations, etc. However, as I took to reaching out to those last 50 or so guests who hadn’t responded, a similar topic arose as to why some would not be able to attend our celebration. As this post’s title states, G and I chose to have an adults-only wedding. Since this is the hot topic of the week, I figured I’d dive into it in case anyone else is mucking through this sticky scenario as well. To the brides-to-be, breathe. This is a long-standing debate among many couples and families — you’re not alone — and one which takes special care to maneuver. When G and I were settling our guest list, the topic of children emerged like a snarling dragon shortly into the discussion. 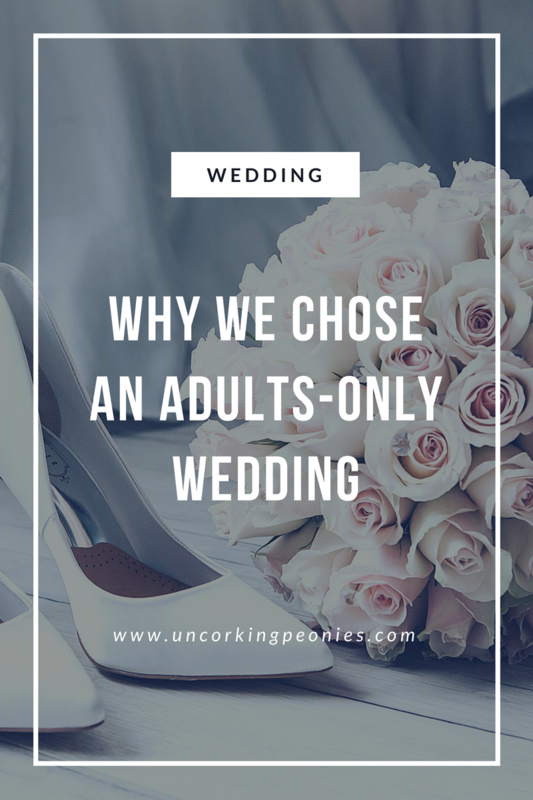 As a wedding coordinator in the past, I had the majority of my weddings be adults-only. I personally liked those kids-free celebrations more than the ones which invited children. (I have a number of stories involving kids at weddings I coordinated — like the one where I had to go on the roof to track down two teens who had gotten bored and decided to go smoke a joint instead. Fun times!) But such parties were berated by a number of critics, including this certain article, and made us seriously consider our options. The Number One thing we wanted for our wedding was for it to be a fun, stress-free, and memorable celebration with our closest family and friends. We weighed the options. We asked for advice. We researched other’s weddings. And in the end we made our decision: to have an adults-only wedding. First off, G and I absolutely adore children and we especially love the children of our loved ones! We cannot wait for the day (a few years in the future) when we become parents to our own little sunshine. In no way was our decision to host an adults-only wedding meant to be mean or exclusive. Rather we have some extremely legitimate reasons that broke our hearts to make that choice. When we began our guest list, we had a goal of less than 170 guests to be included. And even that amount was stretching it. Neither of us are keen on being the center of attention (I tend to have panic attacks when put in front of an audience) and neither of us wanted to spend a fortune for a large wedding. By the deadline of sending our invitations, though, our guest list had climbed to a hefty 250 guests, and that was only our adult guests. 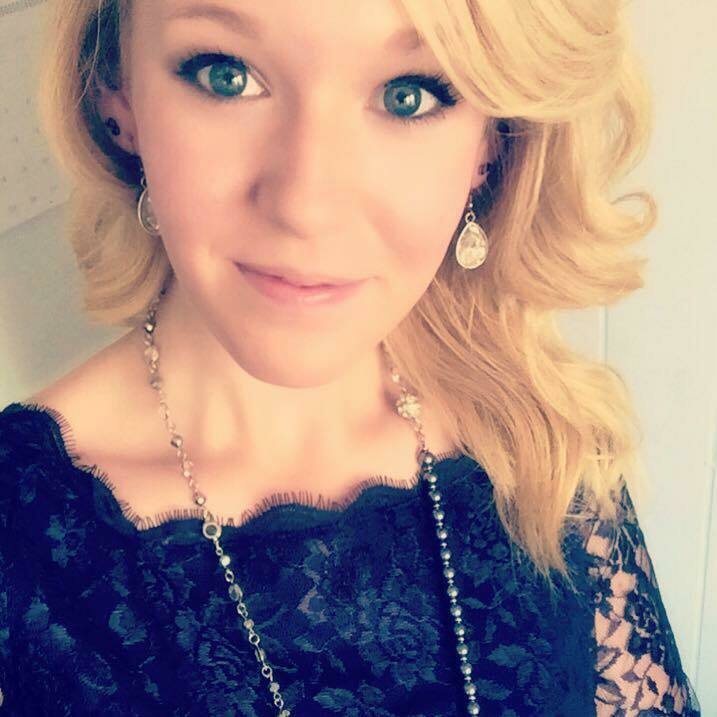 I have a fiance who has an incredibly wonderful but incredibly large family, and each member was important to us and our families to invite. However, as we began looking into renting options, that hefty number seemed to glare at us. We realized we wouldn’t be able to utilize our inexpensive tent find of only $600 because the tent was simply too small. Which meant an increase of $800 that original amount to double the tent plus add tables and chairs. With knowing our families have been blessed with an abundance of little ones, adding children to our guest list would have meant an additional 80 seats, 10 tables, and the necessity of an even larger tent! As two people paying for the majority of their wedding and wanting to also have some money left over after the Big Day, we had to make cuts. And don’t even get me started on the additional cost of mouths to feed! Unfortunately, when a budget is tight, the 2-year-old who will remember nothing or the 7-year-old who could care less about a wedding (but yet still cost something) were easier to cut than the friend known since kindergarten or the great-aunt who would never let you forget she wasn’t invited. Another huge impact on our judgment was in concern of our special event insurance. I spoke about our decision to purchase special event insurance a few months back in my post Special Event Insurance: Yay or Nay?. We opted to get insurance at our family’s private residence where we are hosting our reception. In the unlikely circumstance that something were to go awry at the farm, we wanted to have coverage for ourselves and our loved ones. Especially with alcohol being served, this was a necessity for us. We were pleasantly surprised to find out special event insurance wasn’t expensive in terms of what is covered — we paid $125 for a great policy. This policy covers an adults-only event though. An additional $500 fee is associated with policies including minors being present. And if a minor were to be present at the reception under our current policy, the contract would be null. Legally (and financially) our only option was to keep the wedding adults-only. In one way this made things easier for us because we didn’t have a “gray area” on how we defined kids; our insurance policy states no minors so our wedding is restricted for 21-years-old and older. In another it brought some stress as it made us feel trapped in the off-chance a guest chose to bring their minor with them anyways. But we had to choose to draw the line. The fact should be stated that G and I did make the wedding adults-only before all the financial and legal logistics became clear. And for those reasons we are thankful we did; I’m honestly not sure how we would have handled things had we invited children before coming to terms with everything else. However, it was our decision to have an adults-only wedding and we had a few personal experiences as to why. First, we had a discussion on alcohol at the wedding. With G’s past and family members who do not drink, he preferred we not have any alcohol available. For me, I preferred we do. Not only because I would like to enjoy a glass of wine as the bride, but because my family do enjoy drinking (in moderation) at celebrations. Plus, in my experience, dry weddings tend to have a less-entertaining atmosphere and earlier end time. We compromised and settled for a self-service beer and wine bar with a limited number of drinks available. This meant both G and I were on alert that minors may be at risk since we were not going to hire a bartender, and chose to make the wedding 21+ only. Second, not everyone likes kids at weddings. I don’t mean that in an insensitive or heartless way, but simply as a fact. A child’s behavior cannot be predicted at all times. G and I attended four weddings last summer, and somehow sat next to children at every single ceremony. Though the tykes were adorable, neither G nor I could hear the vows being exchanged at any of the weddings. At one ceremony we missed the final kiss because the little boy in front of us decided to stand up in the pew. At another we spent an hour having the backs of our seats kicked because Mom and Dad didn’t like discipline. As a couple wanting the best experience possible for our guests, hosting an adults-only wedding seemed ideal. Lastly, we knew we’d have some backlash for our decision to have a kids-free wedding. But I’ve said it before and I’ll say it again, we all make choices in our weddings that are going to offend certain people. It is inevitable. Our decision was not based on our preferences, or even our wallets. Our decision was made by what we thought was best for all involved in our Big Day — from the bridal party to the invited guests to even the vendors. We simply took what we considered the best route to take. With all this being said, there are a few things I would have done differently. The biggest difference would have been adding “Adults Only” to the invitation. I know, I know, I know, EVERY SINGLE WEDDING ADVICE COLUMN TELLS YOU NOT TO DO THIS. Trust me, I know. That’s why I didn’t add those two words. Instead I kept to “perfect etiquette” rules: I addressed each invite to the adults only, I asked family and friends to spread the word, I made sure to mention this detail numerous times on our website, etc. If there was an award for correct etiquette when it came to this topic, I’d be receiving a trophy. Yet there’s no trophy in my hand and a few hurt feelings from my guests. As a bridal convict, I would highly advise adding those two words. Some may be offended. (But honestly, if they are, come on…) Some may never even notice. But maybe those who have children will, and you’ll be confronting the issue months before the RSVP is due. Frankly, you have enough to worry about when planning your wedding so just add “Adults Only” and move on to the next phase in the process. All in all, I tried my best to navigate this sensitive subject. For the most part I succeeded, but there were still a few guests unhappy with our decision. Hopefully you can take some of my advice and use it for your benefit in your own planning. As for this post, I hope I didn’t continue to offend anyone. The main point I am attempting to make is this: take a step back and realize how much thought goes into each and every decision of wedding planning by the couple. The vast majority of couples do not purposely offend their closest loved ones guests. I mean, they did consider you important enough to attend their multi-thousand dollar party, right? 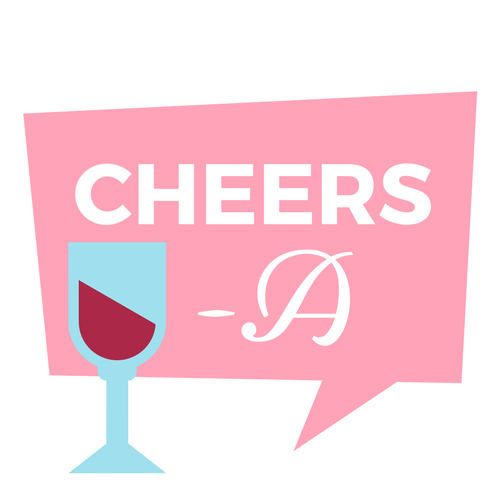 Use an adults-only wedding as an excuse to spend the night with your spouse, drinking, laughing, dancing, and celebrating one of your family member’s/friend’s most important day!